Accidents are common at four way stop signs. These types of incidents are often disputed as there are no traffic signals, sometimes no witnesses, and each driver usually believes they were in the right. Hiring a lawyer who understands the process can make all the difference in whether you are compensated for your injuries or if you will be found to have been at fault. Springfield Injury Law Tom Kapstrom is a four way stop sign accident attorney representing Southwest Missouri residents who have been involved in accidents at four way stop intersections. Call our office today for a free case assessment. 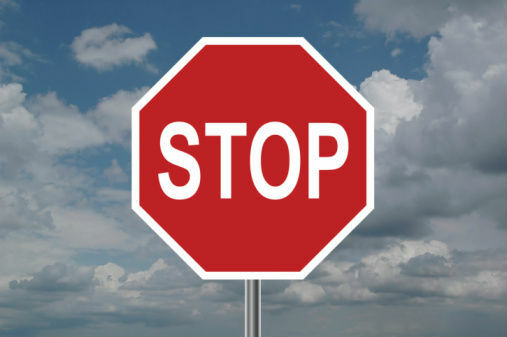 Four way stop accidents differ from right of way accident cases. Four way stop injuries typically occur in an intersection with no traffic lights and there are sometimes no witnesses. Missouri’s comparative fault laws offer more protection to Plaintiffs than what is provided in many other states. This protection means that an injured person may be able to recover financial losses even if they were partially at fault for an accident. Insurance companies, however, will often use comparative fault laws as a way of denying payment in four way stop cases. They do this by claiming that each party was equally to blame and saying that they cannot determine who is at fault. They, in turn, declare both parties at fault and deny all claims. Having an attorney who can establish what happened is, therefore, crucial to your ability to recover. If you have been involved in such an accident then it is important that you contact an attorney immediately. Springfield Injury Law Tom Kapstrom is a four way stop sign accident attorney ready to assist Southwestern Missouri residents who have been injured in a four way stop accident. While insurance companies often deny these cases for victims representing themselves, their tune often changes when a personal injury attorney becomes involved. Once retained Tom will begin the process of issuing a formal demand to the insurance carrier. If they are not willing to settle your case then he will file a complaint in the Circuit Court and immediately begin the discovery process. He will not hesitate to take your case to trial. We offer free initial case assessments. Contact our office today. Tom spent many years working for an insurance defense firm after he graduated from law school in 2003. While working for the insurance firm he saw many four way stop cases where insurance companies would deny coverage claiming that both parties were equally at fault. This is little more than a way for insurance companies to protect their profits as one party is typically at fault in such accidents. Tom is a personal injury lawyer who believes in protecting people over corporate profits and aggressively works to protect his clients. Call our Springfield office today. We also service all of Southwest Missouri which includes Polk, Lawrence, Wright, Webster, and Taney counties.